Researchers at the University of Arkansas, led by professor Paul Thibado, have found strong evidence that the internal motion of 2D materials could be used as a source of clean, limitless energy. The team has reportedly taken the first steps toward creating a device that can turn this energy into electricity, with the potential for many applications. A patent has recently been applied on this invention, called a Vibration Energy Harvester, or VEH. The team studied the internal movements of carbon atoms in graphene and observed two distinct features: small Brownian motion and larger, coordinated movements. In these larger movements, the entire ripple buckled, flipping up and down like a thin piece of metal being repeatedly flexed. This pattern of small random motion combined with larger sudden movements is known as Lévy flights. This phenomenon can be observed in a variety of contexts, such as biomedical signals, climate dynamics, and more. Thibado is claimed to be the first to have observed these flights spontaneously occurring in an inorganic atomic-scale system. 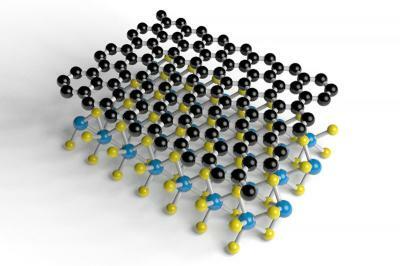 Researchers from Spain's ICN2 institute have discovered that graphene/TMDC heterostructures can exhibit etremely long spin relaxation lifetime. These structure feature lifetimes that are orders of magnitude larger than anything observed in 2D materials - and in fact these results point to a qualitatively new regime of spin relaxation. Researchers from Tsinghua University in China have designed a low-cost energy storage device using a TiO2-assisted UV reduction of sandwiched graphene components. The sandwich structure consists of two active layers of reduced graphene oxide hybridized with TiO2, with a graphene oxide separator (rGO-TiO2/rGO/rGO-TiO2). 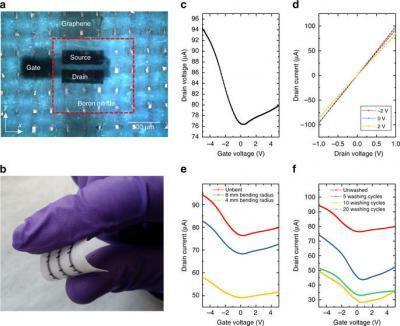 In the device, the separator layer also acts as a reservoir for the electrolyte, which affects ion diffusion—a known problem for layered membrane devices—and affects both the capacity and rate performance. The team explained that a step-by-step vacuum filtration process is used to form the membrane structure, and the amount of graphene oxide used in the filtration solutions can be adjusted to precisely tune the thickness of each layer. 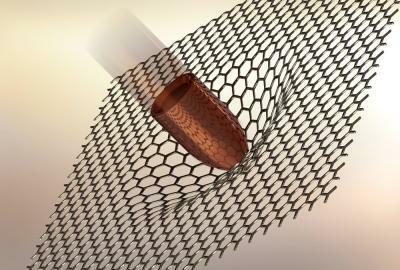 Irradiation of the dried membrane with UV light then reduces the graphene oxide to rGO with assistance from the TiO2.